You’re invited to attend the British-America Business Council of Georgia’s inaugural International Grand Prix. The event brings together the international business communities in Atlanta for an informal evening of networking and karting! 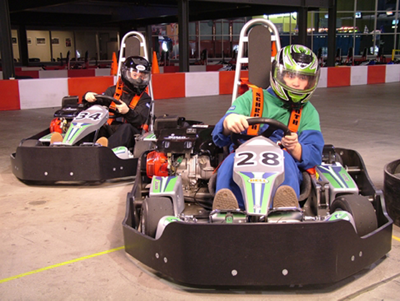 Meet with a broad range of people in fun environment, and test out your racing prowess. The event is open to any member of the international chambers, business groups, or communities with an interest in international business. If you would like to race, you will participate in a qualifying race. The person with the fastest lap time from each nation will go into the Grand Final. The final will be a ten lap race, with the winner taking the prize of the fastest nation in Atlanta! Prizes will be awarded by Her Majesty’s British Consul General, Mr. Jeremy Pilmore-Bedford. If you’d prefer not to race, you can still attend to network and cheer on your nation! Food will be served with a cash bar. When: Thursday, February 25, 2016 at 6 – 9 pm.